Administration of chemotherapy to infants with cancer presents a unique set of challenges. Organ function, including liver and kidney function critical for drug metabolism and excretion, changes rapidly in the first months of life. Clinical pharmacology quantifies changes in the drug’s plasma concentration over time, or pharmacokinetics, and permits characterization of absorption, distribution, metabolism and elimination of the drug and its metabolites. The physiology of a growing child and pathophysiology of childhood cancer differ from adults. Although we tailor drug doses based on the child’s size (weight or body surface area), differences in drug exposure contribute to variability in toxicity or response among children. In children and adolescents anticancer drug doses are calculated based on body surface area (BSA) which is calculated from height and weight. Anticancer drug dosing in infants is based on the empiric observation that infants are at increased risk of serious toxicity when chemotherapy drug doses are based on body surface area. Traditionally, chemotherapy drug doses for infants are systematically reduced by calculating the dose based solely on body weight. Neither weight nor BSA is related to physiologic determinants of drug distribution or metabolism. The limitation of BSA-based dosing in children is illustrated by the dosing modifications for infants and young children that is based on age, weight, BSA or a combination of age and weight. Working with a team of investigators in the Children’s Oncology Group, Elizabeth Fox, MD and Frank Balis, MD have devised dosing for cytotoxic drugs that gradually transitions the dose from weight-based to BSA-based in infants and young children. This dose-determination technique will contribute to safer dosing of cytotoxic drugs for infant patients. 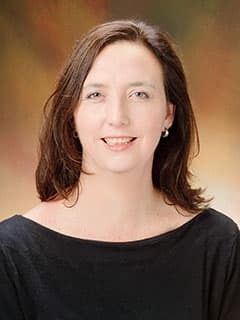 Researchers at the Center for Childhood Cancer Research, including Elizabeth Fox, MD, are studying the pharmacokinetic properties of vincristine, carboplatin and etoposide, common chemotherapeutic drugs used in the management of pediatric cancer. Using both pharmacokinetic data and clinical experience, researchers are determining the optimum dose for these medications in infants.